Build a Three-Legged EXPERT Stool! Build a Three-Legged EXPERT Stool! Home | Speaking/Presenting | Build a Three-Legged EXPERT Stool! Build a Three-Legged EXPERT Stool! 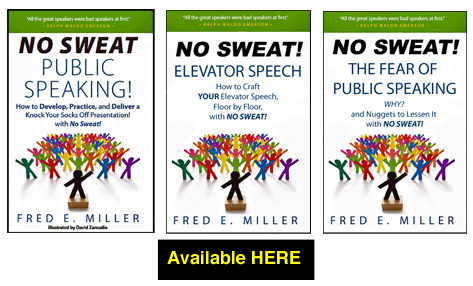 Fred Miller, NO SWEAT Public Speaking. 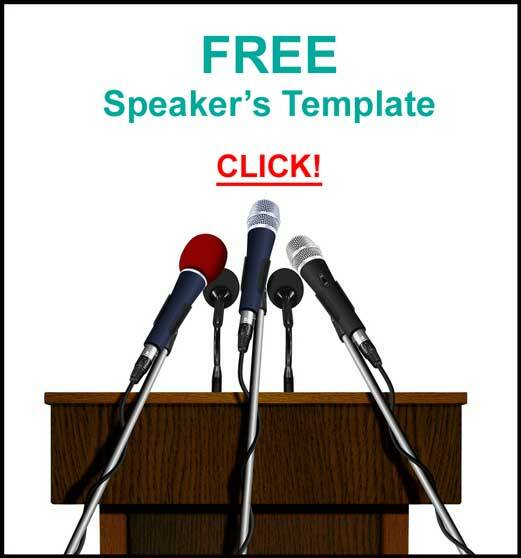 “The Components, Parts, and Elements of a Presentation” – FREE InfoGraph! You want to be seen as an EXPERT, right? EXPERTS command more money for their products and services. We like to work with EXPERTS. People like to hire EXPERTS. Build a EXPERT Stool. It’s a Three-Legged Stool. The First Leg is: Speaking. 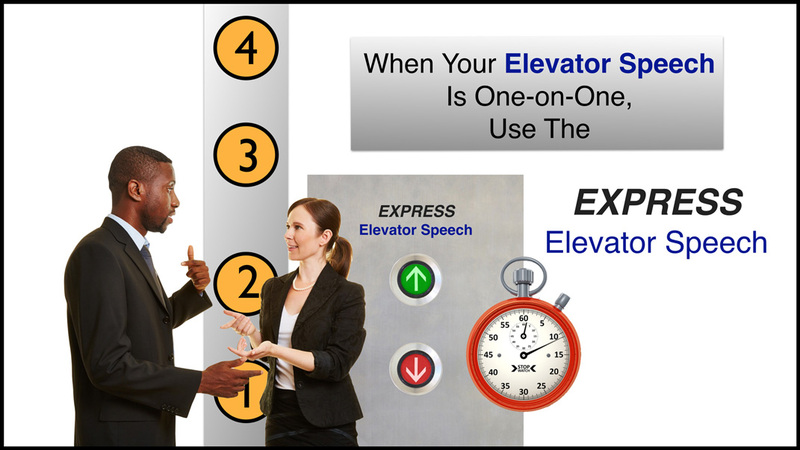 • We perceive people who are speakers as EXPERTS. The Second Leg is: Writing, On and Off-line. 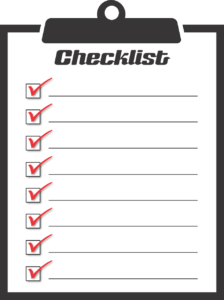 • Write a regular blog post. • Write in other publications. 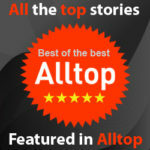 • Comment on other people’s blog posts. • As much writing as you can, because we perceive writers to be EXPERTS. And number Three: Promote that Speaking and Writing. • Use all the technology we have. • Put it on Facebook and LinkedIn. • Use all kinds of apps to get it in as many places as you can. “Boy, this looks really good. I looked at your website. That looks excellent, also. Don’t you love that phrase? 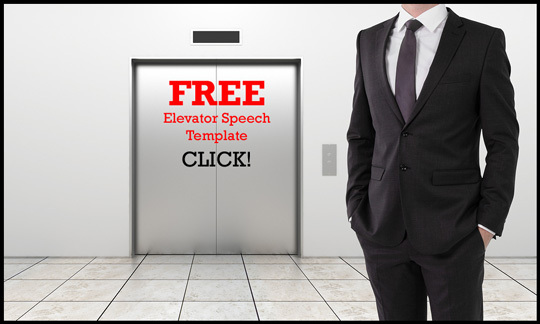 Take that suggestion to build a Three-Legged EXPERT Stool: Speaking, Writing and Promoting all those speeches and writings, and I guarantee your next presentation will be absolutely, positively – NO SWEAT! 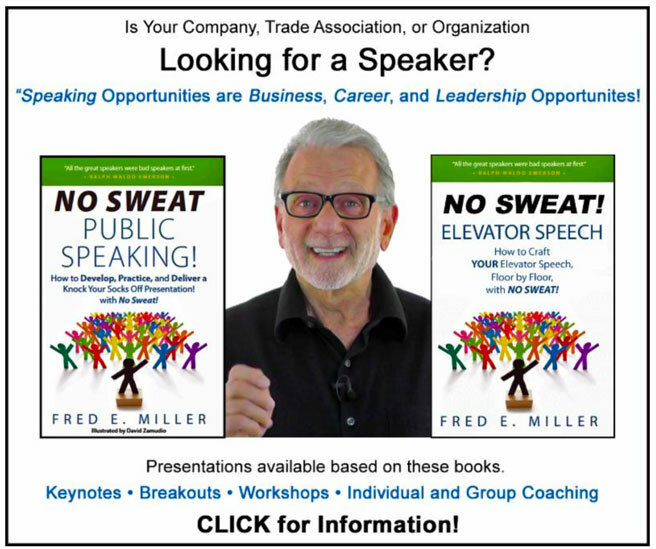 Looking for a Speaker? CLICK! Businesses, Individuals, and Organizations hire him because they want to improve their Networking, Public Speaking, and Presentation Skills. 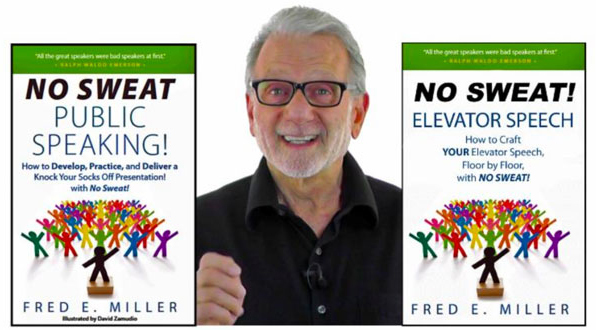 We perceive really great speakers to be Experts, and we like to work with Experts. Use a DISCLAIMER: Here's . . .
DON'T Drink these Beverages before . . . 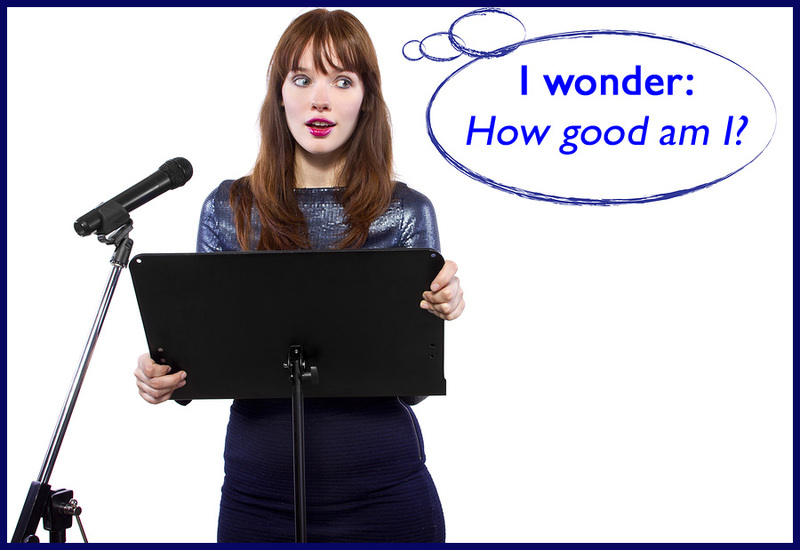 IN your Opening, tell the audience how you'll be handling Questions. The Fears of Public Speaking and Failure go. . . 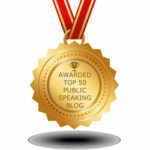 Fear Public Speaking and Failing?